Double walled and insulated, it's the Superman Blue 16 oz. Travel Cup with Straw! This blue acrylic cup can be used for both hot and cold drinks. Each cup includes a twist-off lid and acrylic straw, too! 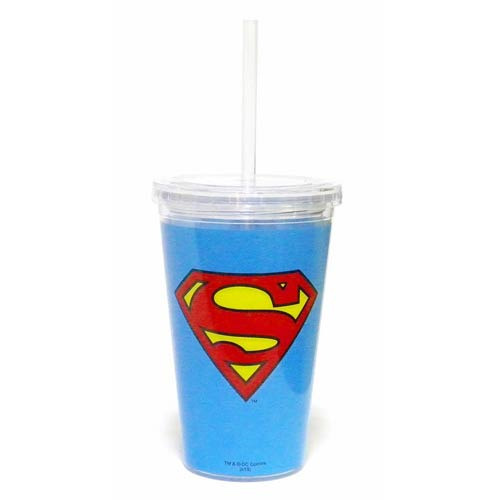 This cup features the Superman "S" logo on a blue background. Hand wash only. Not dishwasher safe. Do not microwave.